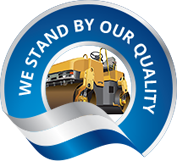 We're a SWAM certified business and we stand behind our reputation for impeccable quality, safety and service. We work within the timeline of our customers to deliver exactly the type of product they need. Feel free to contact us for an estimate of your next project. We promise you won't be disappointed! We handle all aspects of the project including working directly with the design/build community. We make old asphalt look presentable until it's time to replace it. We do striping for all types of symbols including bike lanes, small arrows, handicapped, and more.